To assist in creating highly aspirational and memorable Australian itineraries, there are a number of other ‘collective’ organisations we recommend. Each of these delivers some of the best experiences in their field and are a great complement to a luxury lodge trip. ‘Discover Aboriginal Experiences’ collective is part of Tourism Australia’s Signature Experiences of Australia program that promotes outstanding tourism experiences within a variety of special categories. This new collection showcases a diversity of experiences delivered by the world’s oldest living culture creating truly memorable journeys including an exciting array of experiences for adventure seekers, cultural enthusiasts, foodies and nature lovers such as exploring labyrinths of ancient and contemporary rock art, quad biking, kayaking, whale watching, fishing, mud crabbing, hiking, taking a walking tour in a city centre or staying in a lodge on over 200 square miles of lily laden flood plains teaming with wildlife. Great Golf Courses of Australia profiles and provides access to Australia’s leading golf courses, including the country’s seven World Top 100 courses: Barnbougle Dunes and Barnbougle Lost Farm (both in Tasmania), Royal Melbourne, Kingston Heath, New South Wales, Royal Adelaide and Victoria Golf Club. Great Golf Courses of Australia is a comprehensive and centralised resource for golfers, media and trade to access information on Australia’s leading golf courses and iconic golf tourism experiences. Great Walks of Australia offers quintessentially Australian walking experiences that engage walkers in some of the world’s most spectacular terrain. They inspire travellers to explore Australia’s diverse landscape by foot, where guests reconnect with nature in small, intimate groups. The journeys are led by expert guides with a deep understanding and appreciation of the environment. The operators provide the utmost in style and comfort with gourmet food and wine and exclusive, comfortable accommodation facilities such as historic homesteads, wilderness safari camps, private huts and luxury lodges. Ultimate Winery Experiences Australia is a hand-selected collection of Australia’s premium wineries offering quality winery experiences based around world class wines, warm and knowledgeable hospitality and culinary excellence. Experience the best in Australia’s wine regions. Australian Wildlife Journeys features Australia’s independently owned and operated wildlife tour operators offering unparalleled connection to Australia’s most spectacular natural environments. Iconic and immersive wildlife encounters include birdwatching, whale watching, marsupial spotting and snorkelling. 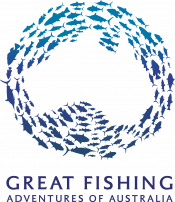 Great Fishing Adventures of Australia provides saltwater, freshwater and fly fishing enthusiasts the opportunity to indulge in their passion in some of the most diverse environments the world has to offer. Take a look at some of the itineraries combining these great collections with Luxury Lodges across Australia.